St. Lawrence University’s Herring-Cole Grove (a.k.a. 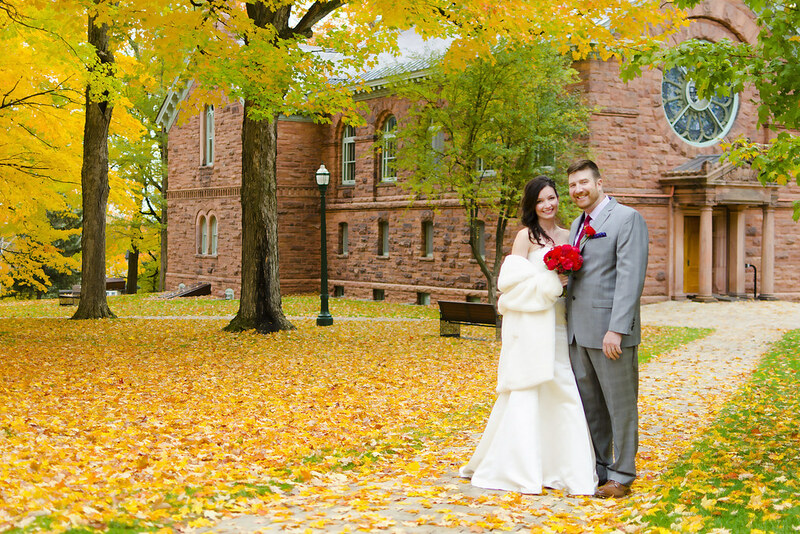 the “Enchanted Forest”) in autumn is flush with golden leaves that carpet the ground and frame the sky; this makes the perfect compliment to the Gunnison Memorial Chapel from which these two just exited. I can’t help but be grandiose when remembering a day like this one.